Source: I won this book from Literary Rambles and Krista herself. Synopsis (from the publisher): Twelve-year-old Ella Mae Higbee is a sensible girl. She eats her vegetables and wants to be just like Sergeant Friday, her favorite character on Dragnet. So when her auntie Mildred starts spouting nonsense about a scientist who can bring her cousin back to life from blood on his dog tags, Ella Mae is skeptical—until he steps out of a bio-pod right before her eyes. But the boy is not her cousin—he’s Japanese. And in California in the wake of World War II, the Japanese are still feared and despised. When her aunt refuses to take responsibility, Ella Mae and her Mama take him home instead. Determined to do what’s right by her new friend, Ella Mae teaches Takuma English and defends him from the reverend’s talk of H-E-double-toothpicks. But when his memories start to resurface, Ella Mae learns some shocking truths about her own family and more importantly, what it means to love. Why I recommend it: Ella Mae's voice is spot-on. I was completely drawn in by page 2 and felt like Ella Mae and I were old friends. What also impressed me was the deft and graceful way the author handled some tough issues about life and death, balanced with just the right amount of humor. And finally, I've read a great many MG novels and very few of them give me chills anymore (the good kind of chills that tell me I'm reading something truly special). This one did. Especially when I reached the passage Krista talks about below. Historical fiction with a touch of the fantastical, this is a book I will read again. Favorite lines: The Japanese man, on the other hand, watched me through the glass. Neither of us said a word, but we still had a conversation. Bonus: This book would be a great discussion-starter in classrooms. I asked Krista if she could explain the origin of the title for my readers, and she graciously agreed. Take it away, Krista! I'm terrible at titles, so when the publisher said they wanted something a little more accessible to MG readers--the title at that time was THE REGENERATED MAN--I was more than happy to oblige. Except I still had no idea what the new title should be. Editor Shauna and I came up with several dozen titles over the course of several weeks, but nothing felt quite right. Luckily, she was doing one last read-through and stumbled across a passage that included the expression "the sound of life and death and everything" (which we ended up shortening to "the sound of life and everything"). Right away, she knew that line had to be the title, and though it took some convincing, I eventually saw the light. (Like I already said, I'm terrible at titles, so I don't always know a good one when I see one.) I'll let you guys read the book to find that passage for yourselves! Thank you, Krista! It's a great title. 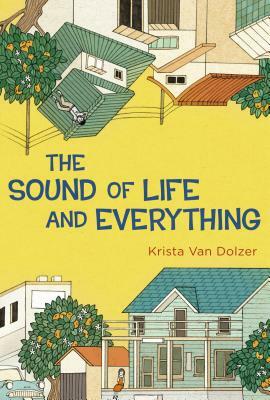 Have you read The Sound of Life and Everything? What did you think? 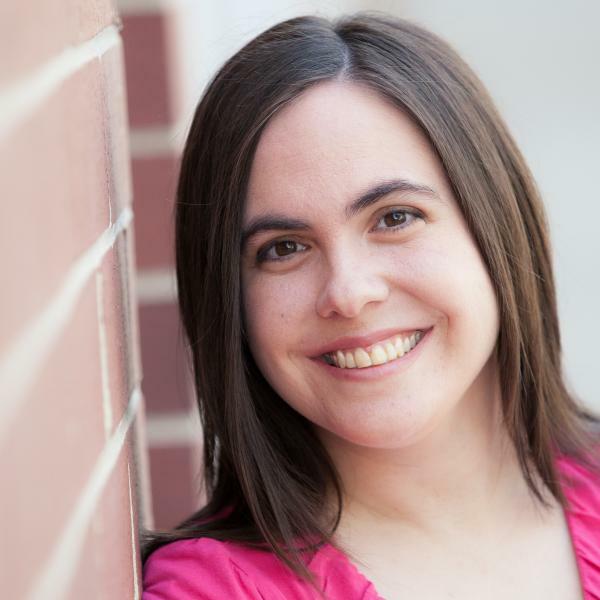 MMGM is the brainchild of Shannon Messenger. Visit her blog for more posts. For the past few months I've been inundated with requests to review books. Inundated, I tell you. Not just one a month, or one a week, but at least one request a day. Is it because so many book bloggers have stopped blogging? Is it because more and more writers are getting published through non-traditional means? Whatever the cause, I have to say thank you so very much for thinking of me, but I'm sorry; I can't possibly review--or even read--all the books from all the authors who request it. Well, for one thing, I'm human, not a reading machine. Yes, I do read a lot, but there are only so many hours in the day, and I must spend time with my family, do household chores, get some form of exercise every day (I have RA and need to get up and move around), and of course block out time for my own writing and for reading other blogs. And yes, occasionally checking in with Twitter or Facebook. Furthermore, let's be clear here. I post recommendations, not reviews. This blog only features books I love. Not every book can make the cut. And of course, I'm only one person, with one opinion. Your opinion may differ. If you're similarly flooded with book review requests, how do you handle it? Today's the day! 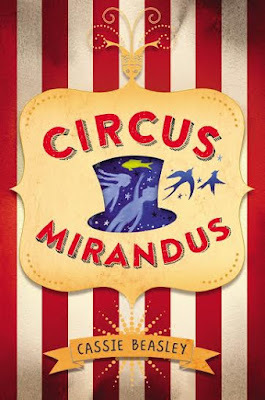 The official release day for CIRCUS MIRANDUS by Cassie Beasley. So many wonderful blogs are participating in the Blogger Blitz; thank you for stopping by mine. Thanks so much to Word Spelunking for organizing this event. Cassie herself has sent along a very special letter (below) sharing her feelings about seeing her book published and all of the amazing support she has received so far. More details about the book are below, as well as a Rafflecopter giveaway for a bunch of swag items, courtesy of Penguin Young Readers. Enter for a chance to win at the bottom of this post. 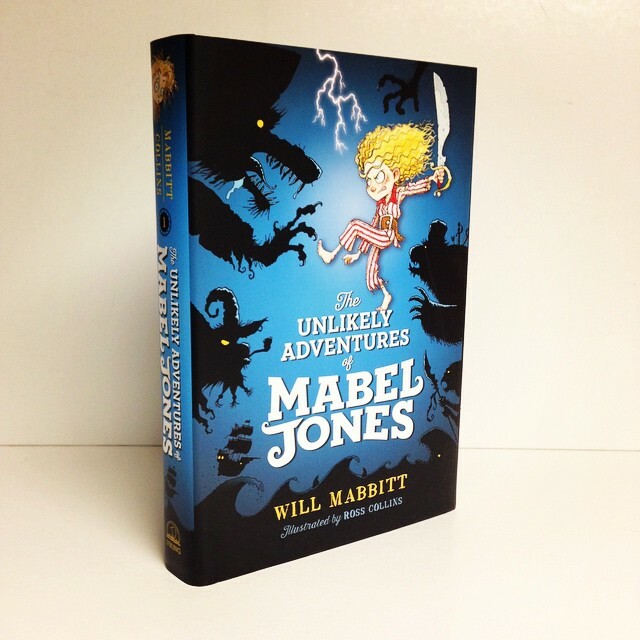 Micah Tuttle believes in magic, even though his awful Great-Aunt Gertrudis doesn’t approve. Micah believes in the stories his dying Grandpa Ephraim tells him of the magical Circus Mirandus: the invisible tiger guarding the gates, the beautiful flying birdwoman, and the magician more powerful than any other—the Man Who Bends Light. Finally, Grandpa Ephraim offers proof. The Circus is real—and the Lightbender owes Ephraim a miracle. With his friend Jenny Mendoza in tow, Micah sets out to find the Circus and the man he believes will save his grandfather. The only problem is, the Lightbender doesn't want to keep his promise. And now it's up to Micah to get the miracle he came for. Readers will fall in love with CIRCUS MIRANDUS, which celebrates the power of seeing magic in the world. #1 on the Summer Kids’ Indie Next List! Now here's what you've been waiting for: the giveaway! I'll be participating in the Circus Mirandus Release Day Blitz! Come back Tuesday for details about Cassie Beasley's much-anticipated MG novel -- and for giveaway details!